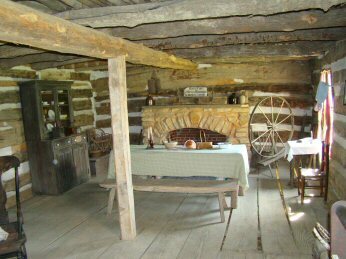 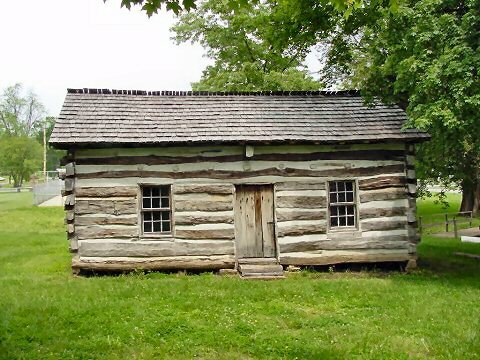 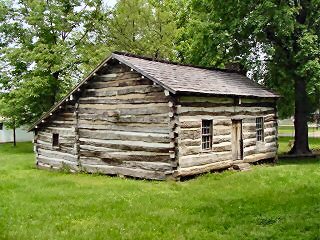 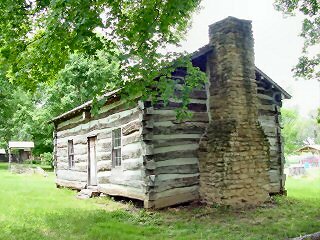 The replica of the Lincoln cabin has a lean-to on the rear and a chimney on the east. 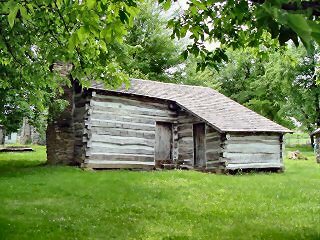 It boasts six-over-six double hung sashes and features a loft reached by a stairway of pegs driven into the wall. 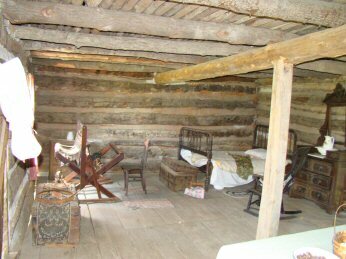 At night, Lincoln climbed to his bed in a loft such as this.